News and rowing events from the world beyond our own world. JRC founded in 1971 runs 25 races each year from April to September. 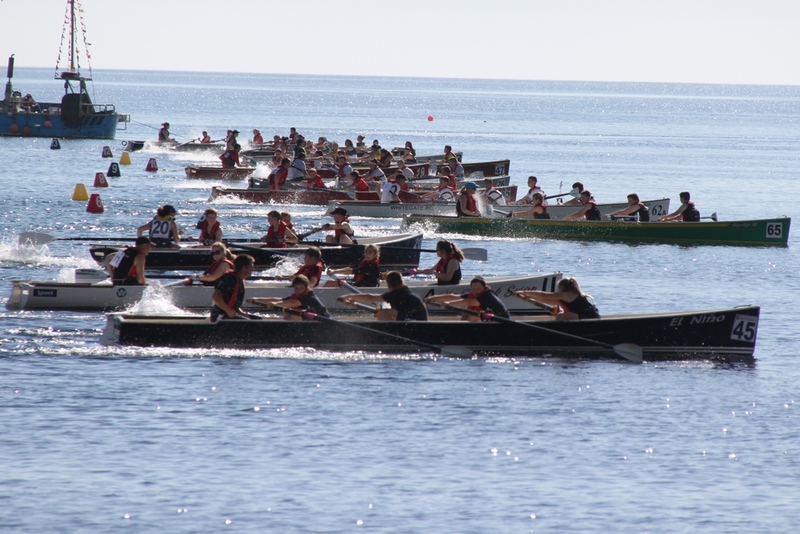 Rowing in the Jersey waters is made particularly challenging and interesting because of the beautiful coastline, dramatic tidal range and sweeping currents. Races are either in the sweeping St Aubins bay or picking through the rocky hazards of the Southern Coast. Races vary from 10k to 55k and are Open to visitors. The headline events are the Open water Sark2Jersey and Jersey to France, both around 26km or the super endurance Wilkinson Sword Round Jersey race. The Willis AXA Sark2Jersey is an open event and visitors are very welcome. The fleet is often over 60 boats with 250 competitors. Scottish Coastal Rowing is fairly new but they have a hand built boat from a flat pack! All boats have individual touches and are spectacular works of art assembled by the communities that row them. Fisa is the governing body of world rowing, here is the link to the coastal rowing section of their website. The Irish Coastal Rowing Federation. Irish 'Curraghs' are similar to celtic Longbots.